HELEN DENNIS is a British artist based in New York. She received her MFA at Hunter College. Prior to moving to America she studied her BA (honours) in Fine Art at the University of the Creative Arts in Canterbury, UK. Helen's artwork combines drawing and alternative photography within the subject of architecture and the built environment. Her artwork can be found in public collections notably of Tiffany & Co. and Avon Inc. Helen's large scale public art works have been commissioned by the Downtown Alliance of New York, The LAB Gallery for Installation Art, NoLongerEmpty and the DUMBO Arts Festival. 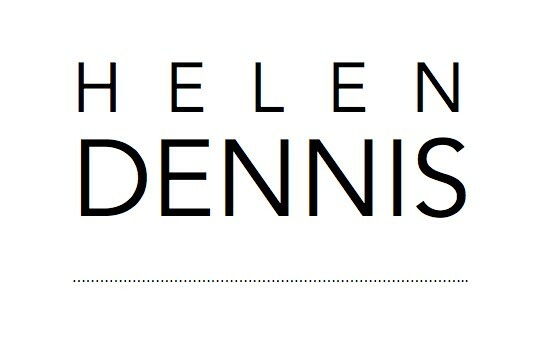 Helen has exhibited her work worldwide and in the US with the support of the Queens Museum, Queens Council of the Arts, Kent County Council and South East Arts UK. She has been a Creative Capital Strategic Planning Fellow at Aljira Center for Contemporary Art and the Lower Manhattan Cultural Council. Helen regularly participates as a mentor in the Immigrant Artist Program with New York Foundation for the Arts. Helen has traveled to several international art residencies with organizations in Beijing, Cyprus, Italy, Reykjavik with the Icelandic Arts Association, Caldera Arts in Oregon, Mission Gallery in Wales UK, and most recently MASS MoCA in North Adams. In addition Helen is currently an Artist-In-Residence at Mount Sinai Hospital with The Creative Center where she works with cancer patients in the Oncology & Hematology Infusions Unit.